Whenever you are travelling out of Singapore for a trip, it is always essential for you to book your airport transfer from a reputable company as you would need drivers who are on time so as not for you to miss your flight! Same theory goes for tourist who are coming to Singapore. First time in a foreign country, you would want to be ensured that all your travel needs are smooth and there is a reliable transport company to handle all your travel needs. Here is where we at MaxiCABooking SG comes in. We provided multiple vehicle type for your travel needs and we give you guaranteed assurance that your ride will be smooth and comfortable. Our most frequent and most popular fleet for airport transfers is none other than our 7 seater Maxi Cab and here are some of the important reasons why you should hire maxi cabs for your airport transfer. • Do i get convenience and yet a safe ride? Your safety and convenience should remain a top priority. When you hire a maxi cab for your airport transfer, you enjoy the convenience of being picked up and dropped off at your desired place in a comfortable VIP maxi cab topped with a reliable chauffeur driver. Our drivers at MaxiCABooking SG will also ensure that you have a safe drive throughout your ride. Time is the most valuable resource that cannot be redeemed once lost. If you know your time is valuable, then you should opt for hiring maxi cab Singapore for your airport transfers. Maxi cabs are fast and will pick you from your door to your destinations and vice versa. We also ensures that our drivers will be there on time or even prior to your booking time to ensure that no time is lost. • I have had enough STRESS! Whether you are a regular or first-time traveler to Singapore, hiring a maxi cab for your airport transfer will guarantee you a stress-free travel. Drivers will assist to load your luggage into the vehicle and drive you using the best routes beating all traffic situations that they can. 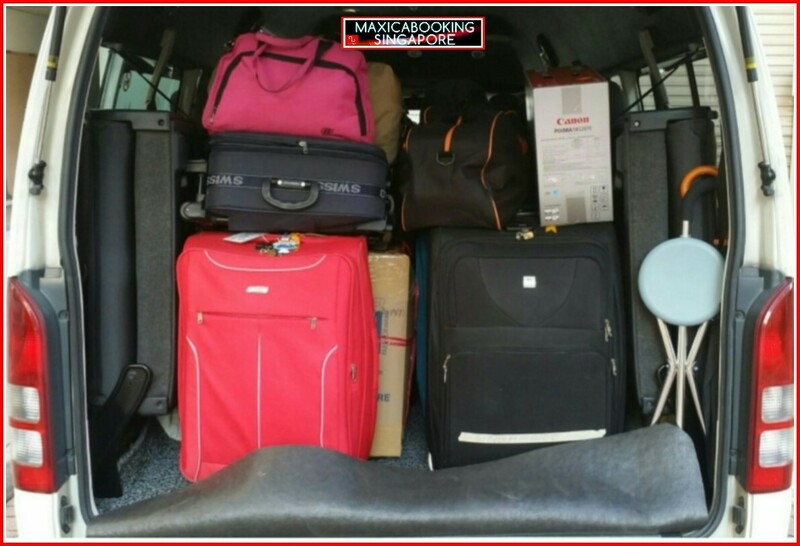 MaxiCABooking SG drivers are also trained to be helpful so should you have any queries along the way, you can ask them too and they will try their best to advice you on the best solution possible. • Its the VIP that matters and thats YOU! When you hire maxi cab Singapore for your airport transfers, there is never a trip modification or request that cannot be met. Our drivers will happily accommodate virtually any request as far as your travel is concerned since each trip is personalized to suit individual’s client needs. MaxiCABooking SG has been operating in Singapore for years and we are known to provide reliable and professional services be it for airport transfers, hourly charter, tours, corporate events charter or point to point transfers throughout Singapore. Do seek out our professional and friendly support team to answer any questions and take your maxi cab bookings. We, the team at MaxiCABooking SG, look forward to be of service to you for all your transport needs in Singapore. This entry was posted in Airport Services, maxi cab and tagged airport taxi hotline, airport taxi services, maxi cab airport services, maxicab for airport transfer, maxicab to airport. Bookmark the permalink.